The place doesn’t look like much from the outside and the decor inside is very “white”, with only a few bright orange signs with the restaurant’s logo on the chopsticks wrapping and the fridge… No, what we come back for is the dumplings as their name indicates, which is indeed the only dish they offer. 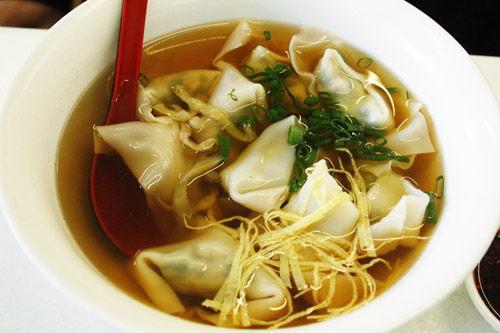 The menu is composed of a few choices of fillings (mushrooms, pork & chives, prawn & chives…), with 3 possible combinations: 5 dumplings with noodles in soup, 10 dumplings in a soup, or “dry” dumplings (no soup). They used to offer 16 dumplings a few years back, but recently removed this option from the menu, to M.’s utmost disappointment. 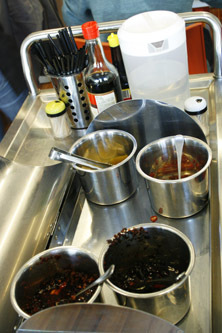 Amongst the tables can be found a trolley dispensing all the condiments necessary for seasoning: chilli flakes in oil, black beans with chilli in oil, lemon wedges, soy sauce, sesame oil, maggi… which are all a bit necessary to season the broth, as it is very light and simple, some would say even bland. Look at these little works of art! 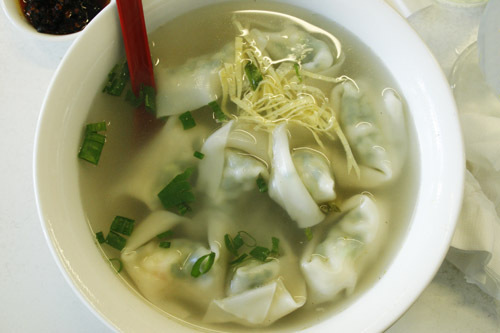 … and I go for my own favourite, the Prawn & Chives dumplings ($13.90), which are always listed as a special on the counter. 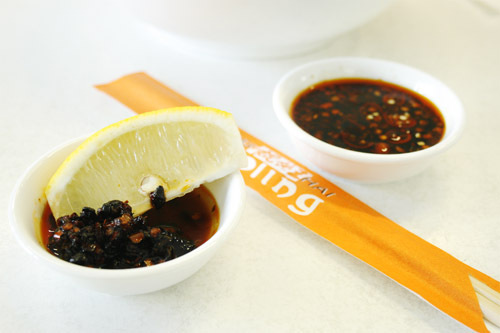 … and after a whole lot of lemon juice, soy sauce, black beans and sesame oil! 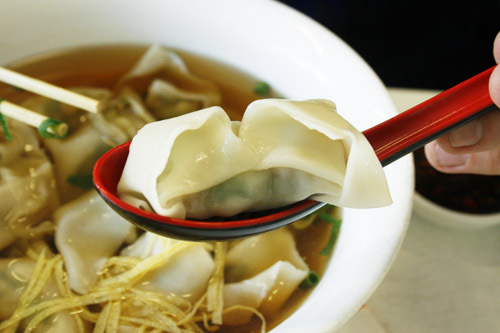 The dumplings are very fresh and silky, and combined with the soup, offer the perfect antidote to that cold and morose weather we have been subjected to in the past few weeks! 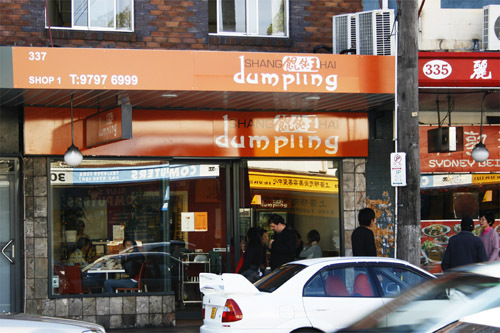 This entry was posted in Restaurants and tagged Ashfield, Dumplings, Soup. Bookmark the permalink. 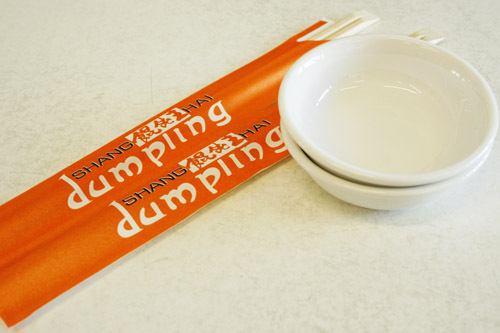 The wrapper looks thin & the soup looks yummy. I might head out there! hmm ive not been to that one. I have been to the one with the green sign next to the pub which has AMAZING dumplings. Im definitely trying this one now! Tried it last Sunday and the dumplings were delicious. Tried the Prawn & Chives and the Chicken & Mushroom – both winners! 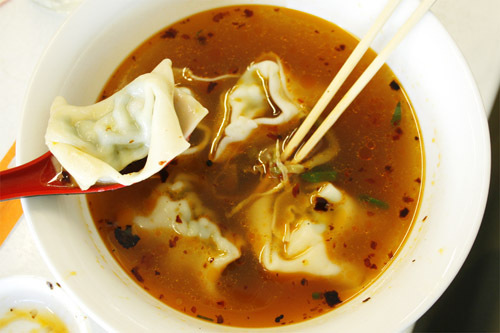 The dumpling soup looks amazing. Yet another place to check out the next time I’m in Ashfield.